I bet he wonders what happened to log houses. Cute picture. 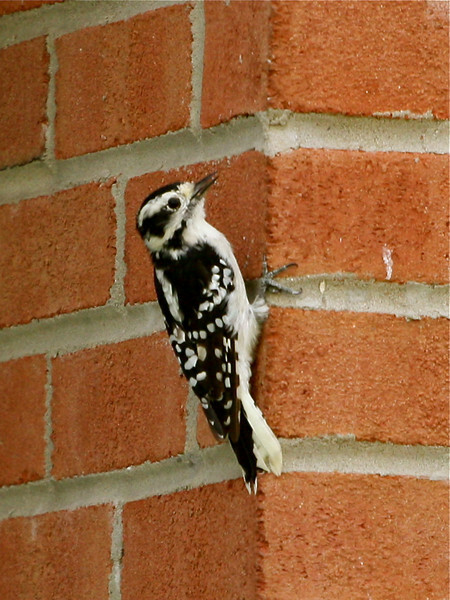 Interesting to see the woodpecker on the brick instead of wood...great capture! Oh my, was he pecking away at the brick? Neat capture -- lovely detail! :-) Neat capture and as always great title and quote to go along with it. I sure could use some of your great creativity in titling some of my pics!